About Equine Massage Myofascial Release Therapy | Release the potential of you and your horse by releasing past stress, injuries and compensations! My name is Tonya Allen, LMT. I have been a TN licensed massage therapist for 16+yrs and my human practice is medically geared specializing in pain and mobility issues specializing in the John Barnes, PT, LMT Myofascial Release Method. I also specialize in the Mark Barnes, PT Equine Myofascial Release Method which is very safe, gentle and effective. 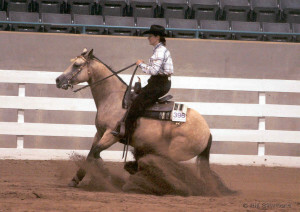 Equine Myofascial release is a manual therapy technique that is used to elongate foreshortened connective tissue and muscle. Fascia is another term for the connective tissue of the body that forms a three-dimensional system of support, cushion, and movement. The fascial system forms a web from head to hoof surrounding every muscle, bone, organ, blood vessel, nerve, and cell. Actually, muscle is made up of 98% connective tissue with biochemicals attached that produce a shortening of the connective tissue strands (contraction). 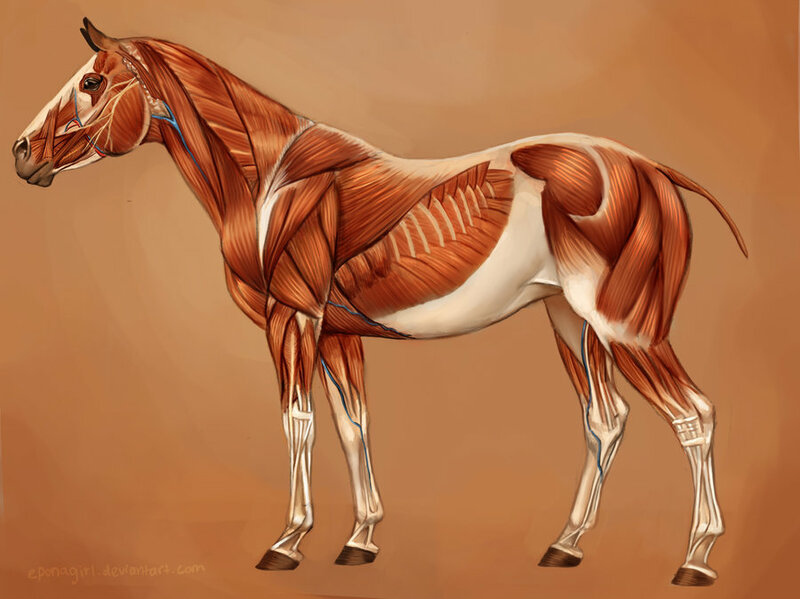 When the horse is acutely injured or sustains repeated stress from training, the fascial system tightens as a protective response. Over time this can lead to poor muscular biomechanics, altered structural alignment, decreased strength and endurance producing muscular compensations. 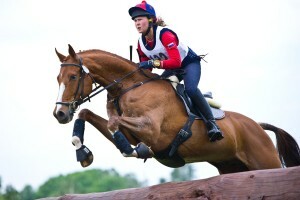 The result is decreased performance and functional capacity of the horse. By elongating the fascial system, it can restore the efficiency of the natural abilities of coordination, strength, and power to the horse. Recommend 4 – 6 sessions for most cases. However, some may be less or require more for severe issues / injuries. Maintenance can be once every two weeks while in competition/training otherwise once every 2-3 months. Each horse responds differently and is on their own time schedule. Work can be done from foals to seniors. 1. Human Massage Therapy at Restoration office. 2. Horse therapy at your facility. $80.00 per session. Includes structural assessment each session and video/photo footage on 1st and 4th sessions. Travel fees apply over 30 minute radius from Restoration office. Sever behavioral horses extra fee will apply. *Myofascial Massage Therapy does not replace veterinary treatment.